Take a walk on the wild side of Myrtle Beach, and we’re not talking about nightclubs. 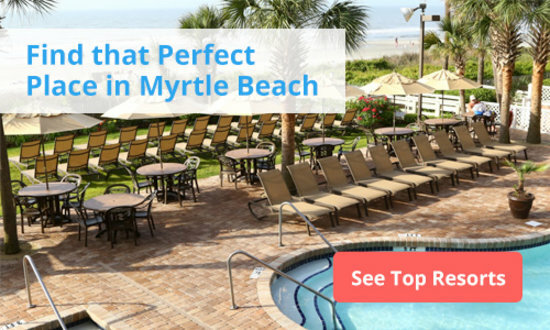 Myrtle Beach locals often hear from visitors that they only know the glitzy side of town – the shows, dining, shopping and downtown beaches and attractions – but there is a natural side to the area that’s thoroughly gorgeous and soul refreshing. 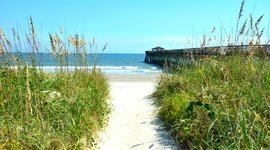 Take a look the most intriguing Myrtle Beach nature tours and outdoor adventures. 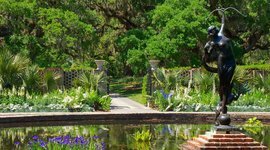 No doubt you’ll see this magnificent sculpture garden on many “best of” Grand Strand lists, but check out an extra-special annual event that displays a different side of nature – the dark side. Normally it closes before dark, but the first three weekends in December Brookgreen is open in the evening for Nights of a Thousand Candles. 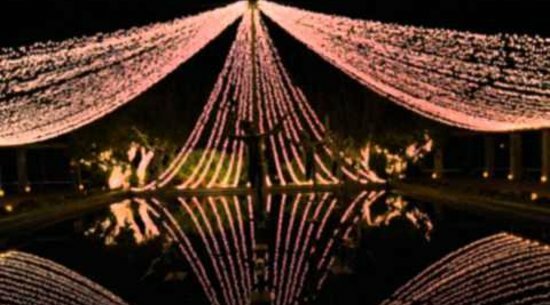 The staff sets out hundreds of luminaries throughout the grounds, and grand old trees are adorned with tasteful twinkling lights. There’s usually live jazz being performed, which you can hear in the distance while walking near old rice fields when perhaps you’ll have a sighting of an owl flying across the full moon. It’s an exquisite experience; be sure to check out the sculpture “Diana of the Chase” in her reflective pool. Bonus: Beer, wine, and delicious Lowcountry eats are available. If you’ve ever wanted to feel like you’re on a deserted island, make a reservation on the Bulls Island Ferry. It’s a whole-day excursion when a limited number of people can board a boat four mornings per week (Saturdays only Dec.1-Feb. 28) at Awendaw and visit the uninhabited barrier island that’s part of the Cape Roman National Wildlife Refuge. 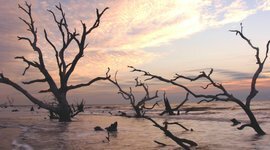 It has 16 miles of trails that go by fresh water ponds before ending at the 3-mile-long Boneyard Beach, named due to a forest of “skeletonized” trees jutting from the sand. You have to take your own water, bug repellent and food. Put on comfy hiking shoes and socks, and if it’s warm wear your swimsuit under your clothes so you can take a dip in the ocean. 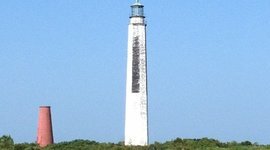 Four times per year a special tour is available for lighthouse lovers. Passengers board a ferry in McClellanville (22 miles south of Georgetown) and journey six miles to Lighthouse Island in the Cape Romain National Wildlife Refuge. Two lighthouses are there: a conical 65-footer built in 1827, and a 150-foot octagonal tower constructed in 1857. Part of the adventure includes wading through a marsh. Conway is a town made for long, pleasant walks, where you can shop, dine, and linger along the way. Well into the 20th century, Conway was the hub of Horry County. Located about a dozen miles west of Myrtle Beach beside the Waccamaw River, it’s still the county seat. The river was a major transportation highway back then, complete with riverboats that had paddle wheels on their sides that enabled them to turn around easily in narrow areas. 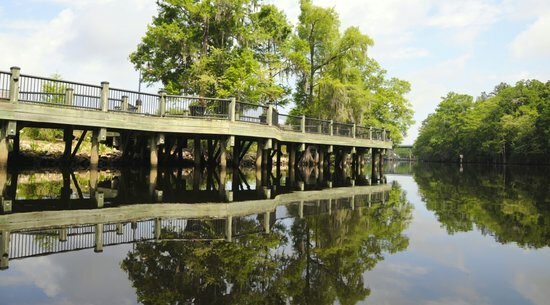 Today downtown Conway has been preserved with charming old stores and gourmet restaurants, loads of gorgeous live oak trees, a romantic river walk, and a pretty riverfront park. This 325-acre natural recreation area is part of the 23,000-acre Waccamaw National Wildlife Refuge. It has three miles of walking/biking trails, a boardwalk that meanders through a cypress swamp and a nice riverfront gazebo perfect for a quiet picnic. 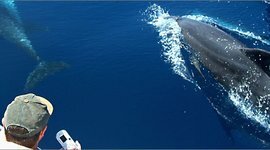 Some of the most unspoiled nature in the Grand Strand area can only be reached by boat. At Crazy Sister Marina in Murrells Inlet there are several boat tour options like the kid-friendly pirate ship or dolphin spotting. Adults can take a ride on a banana raft or go parasailing, or they can rent a paddleboard, kayak, pontoon boat or Jet Ski. The marina is next to the Murrells Inlet Marsh Walk and Veterans Pier, and there are many fine restaurants with gorgeous inlet views within walking distance. Like birds? 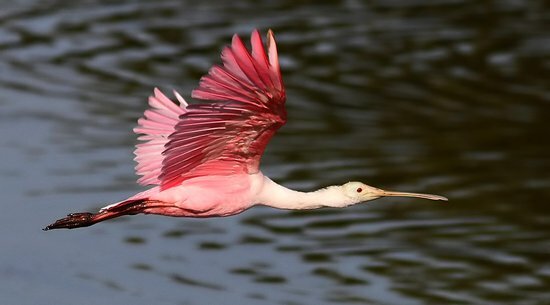 You’ve got to visit Huntington Beach State Park, which is on the eastern United States migration path. The inland marsh on the west side of the park is where most people set themselves up with binoculars and/or cameras and snap incredible photos of hundreds of different birds including bald eagles, five owl species, plovers, herons, 23 sandpiper species, tons of different ducks, tundra swans and even bright pink Chilean roseate spoonbills. Part of the marsh is also home to several wild alligators. Near the park’s northernmost parking lot there is a trail through the maritime forest that has bird watching platforms in strategic locations beside freshwater marshes. It’s a never-ending bird-loving spectacle! After you get good and sweaty on the trail (don’t forget bug repellent), you can have a swim and enjoy the park’s pristine beach. HBSP is also a fine place for a bicycle ride. The hiking trails aren’t lengthy, but the half-mile Sculptured Oak Trail, which intersects with a .4-mile Yaupon Trail, is marked with descriptions of the trees. It starts behind the visitors’ center and ends at the southern end of the park. From there, walk a short distance on the beach to the pier for an ice cream cone. 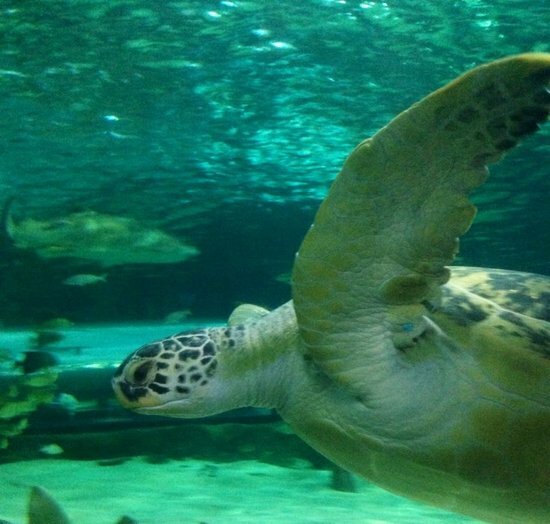 Starting in May and through July, you might have the additional bonus of seeing a sea turtle swimming near the park pier. 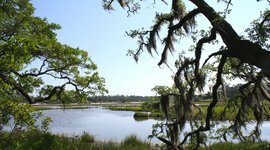 An astounding 16,000-acres of historic wildlife refuge exists just 20 miles south of Myrtle Beach at Hobcaw Barony. The visitor’s center is open during business hours, but they also have reservation-only tours of their vast coastal ecosystem. Choices include visiting a former slave village, visiting the former owners’ home and stables, learning how to fish with a cane pole, history and ecology programs, endangered species monitoring and much more. It’s not a well-known spot, especially for visitors to the north end of the Grand Strand, but Vereen Memorial Gardens is a treasure. Longer than it is wide, the gardens are just north of Little River, right at the state line with North Carolina where S.C. 179 splits off from US 17. 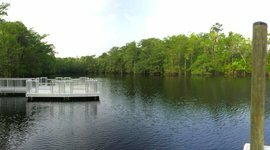 People can drive back to the Intracoastal Waterway where there are walkways and docks perfect for fishing, and picnic benches and bench swings are great for watching sunrises, birds and waterway boat traffic. Other people park at the entrance to the park and ride their bicycles to the waterway. Along the way there’s an historic cemetery with markers dating back to the Revolutionary War. 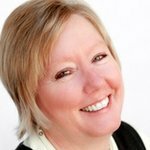 Becky Billingsley has been writing about dining in Myrtle Beach, southern food, and local history for the last 20 years. She’s published three history books, including the recent "Wicked Myrtle Beach and the Grand Strand." People come here to take wedding photos. This breathtaking boardwalk path weaves past oak trees, historic buildings, and the glass-like reflection on the river. Take a ferry to this uninhabited barrier island to explore 16 miles of trails. The highlight is Boneyard Beach with it's skeletonized trees, jutting out of the sand. These two 18th century lighthouses stand at an impressive 65-ft and 150-ft tall. A ferry will takes you there where you'll wade through the marsh to reach them. 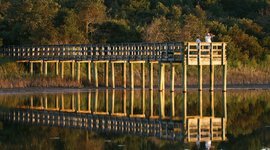 Set in the 23,000-acre Waccamaw National Wildlife Refuge, this relaxing getaway features three miles of walking/biking trails and a scenic boardwalk, perfect for a picnic and family photo. It's the launching point for fun ocean adventures including dolphin tours, kayaking, paddle boarding, parasailing, and jet skiing. 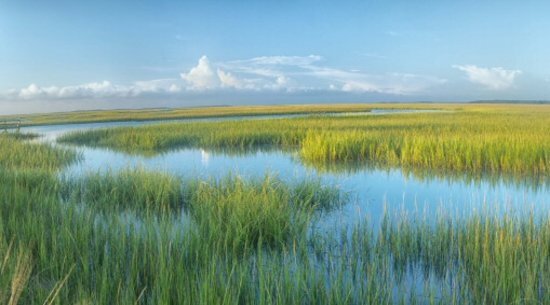 This vast wildlife refuge is home to forests, wetlands, and old plantation. They offer several tours that show you the history and ecology of the Grand Strand. 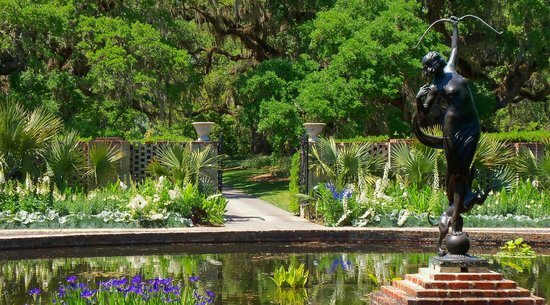 Not well-known to visitors, the gardens here line the scenic Intracoastal Waterway. It's a great place to watch the sunrise, stroll along the river or fish, and a must for bird watchers.